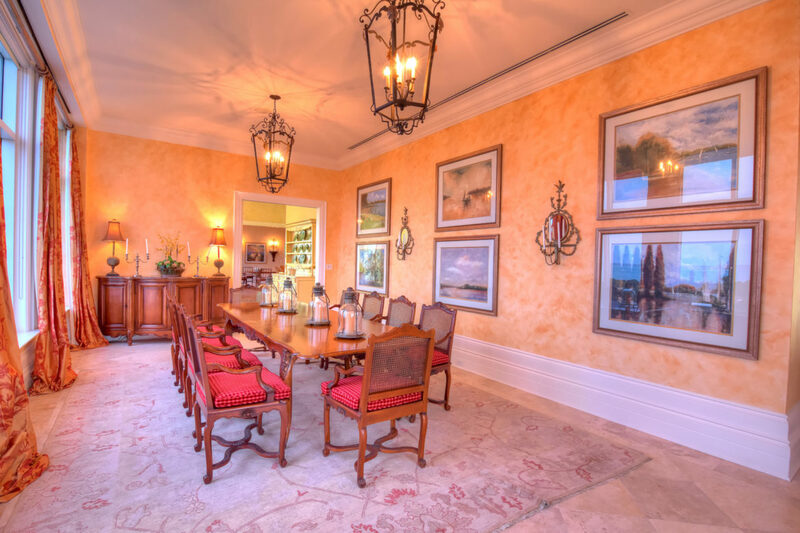 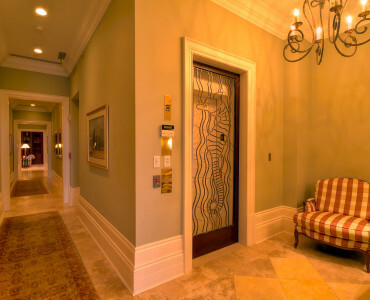 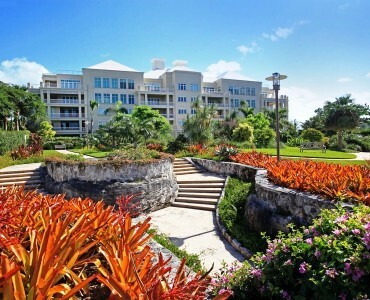 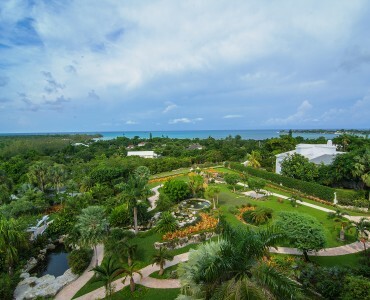 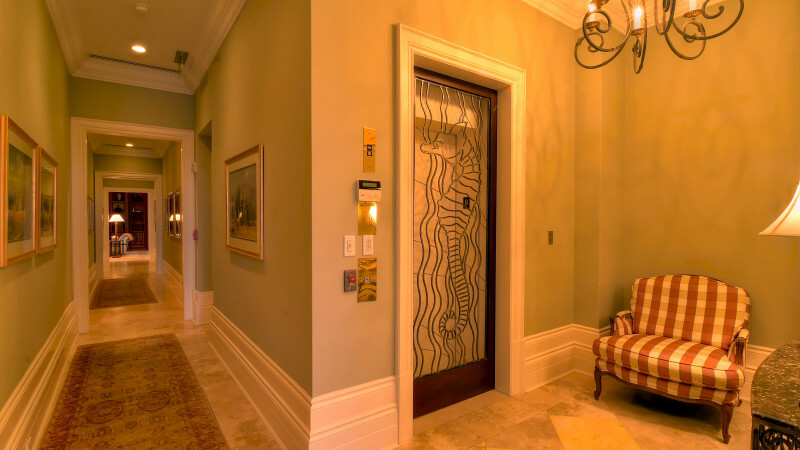 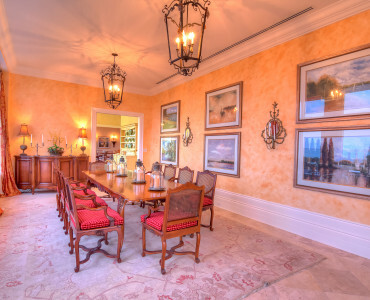 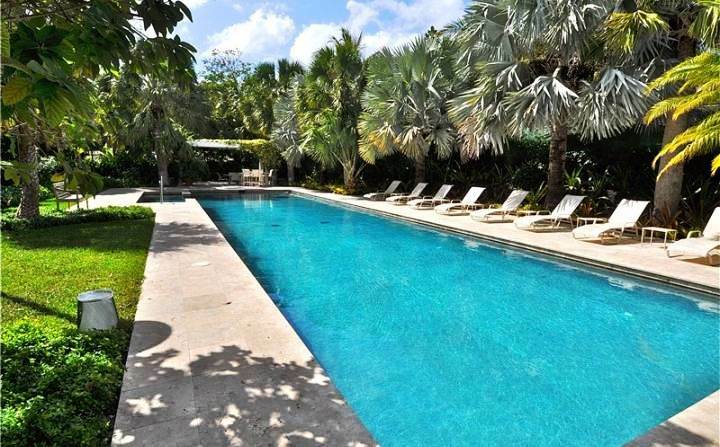 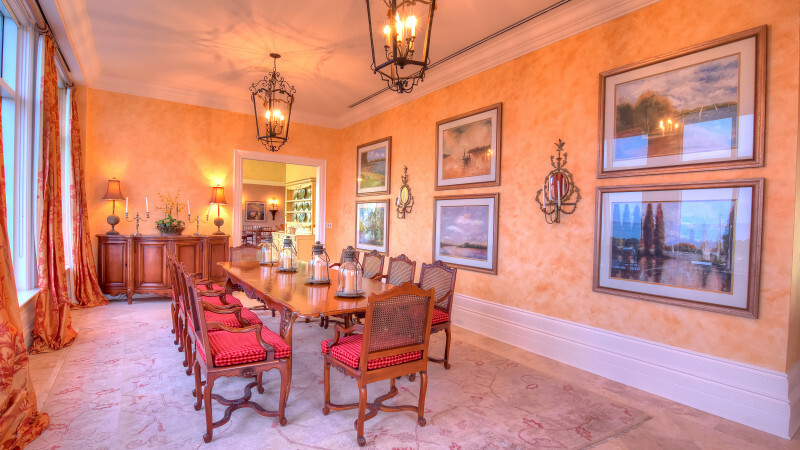 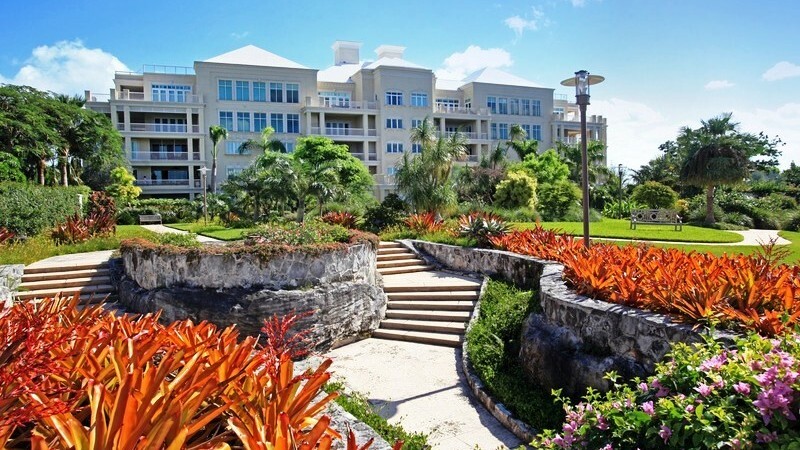 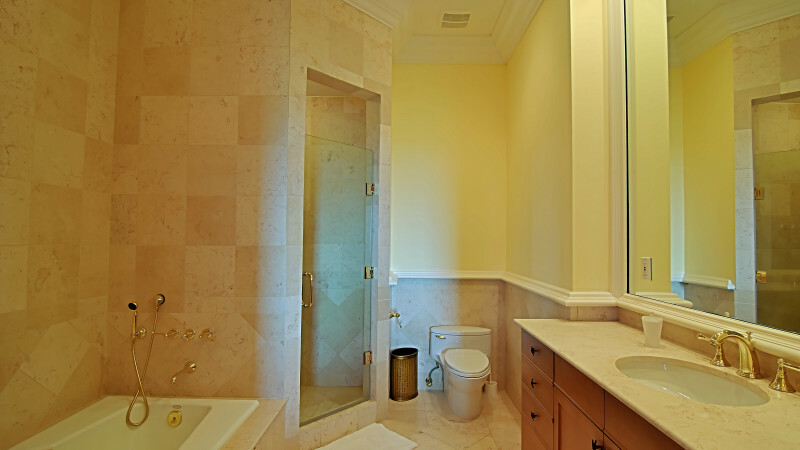 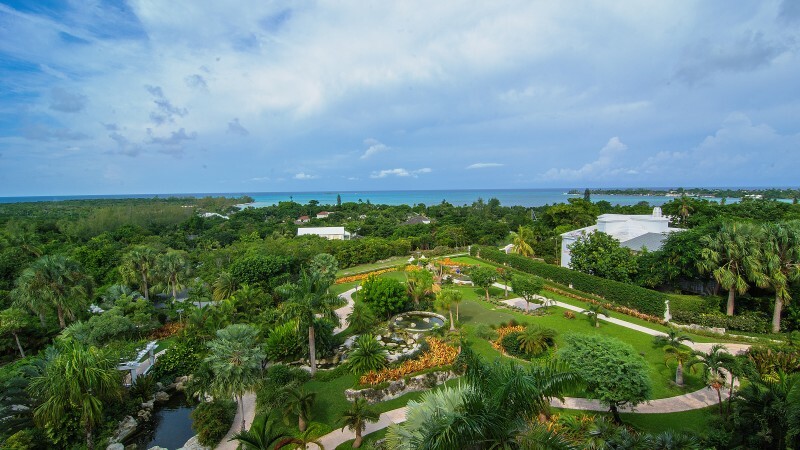 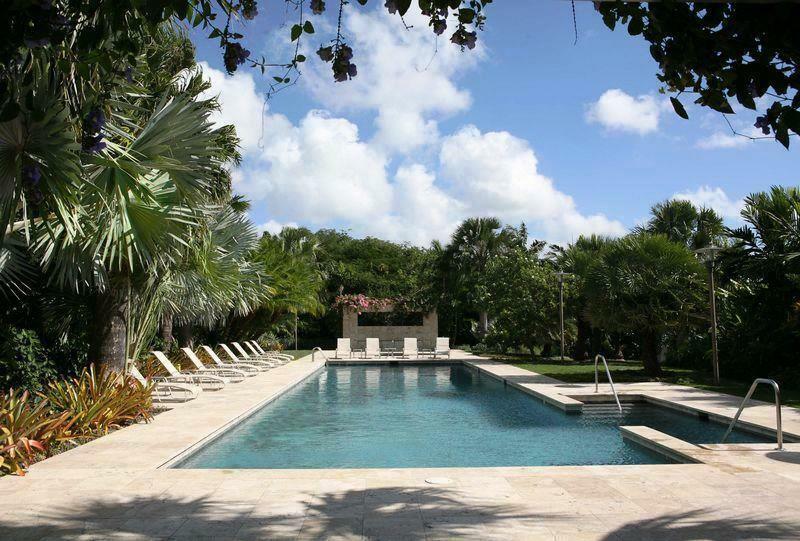 This impressive penthouse apartment is located in the only luxury condominiums in Lyford Cay. 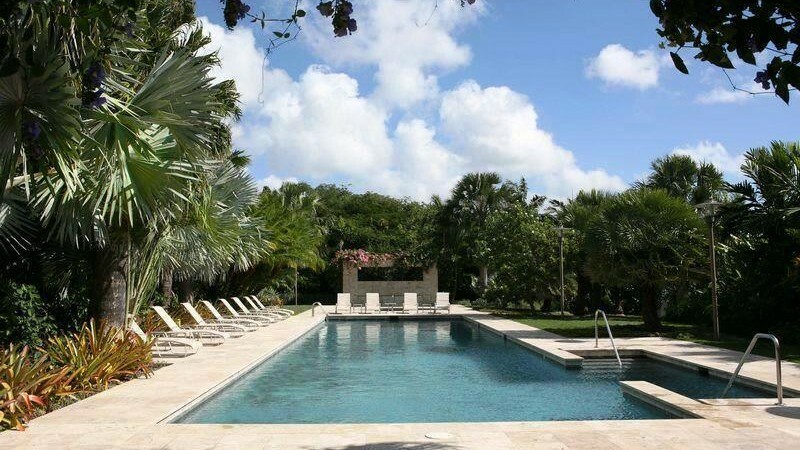 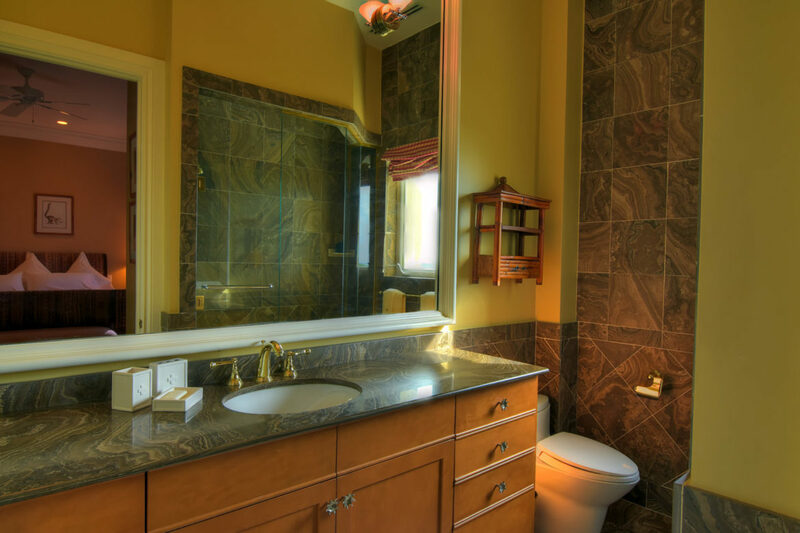 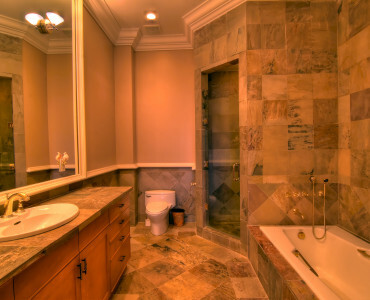 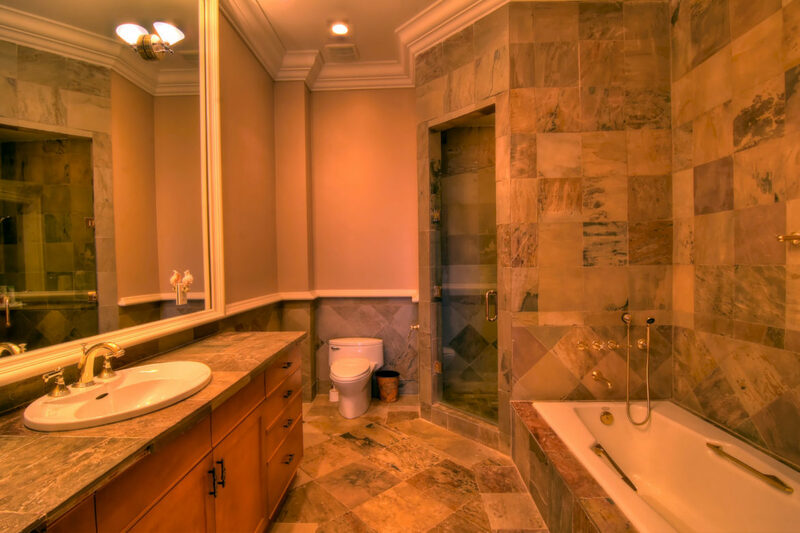 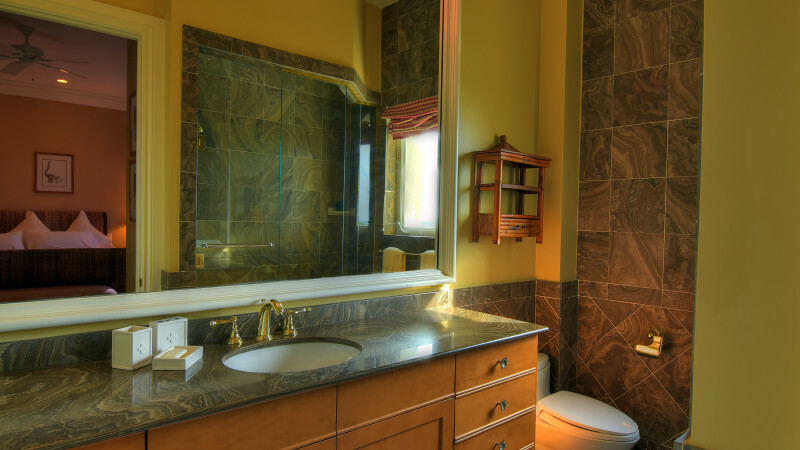 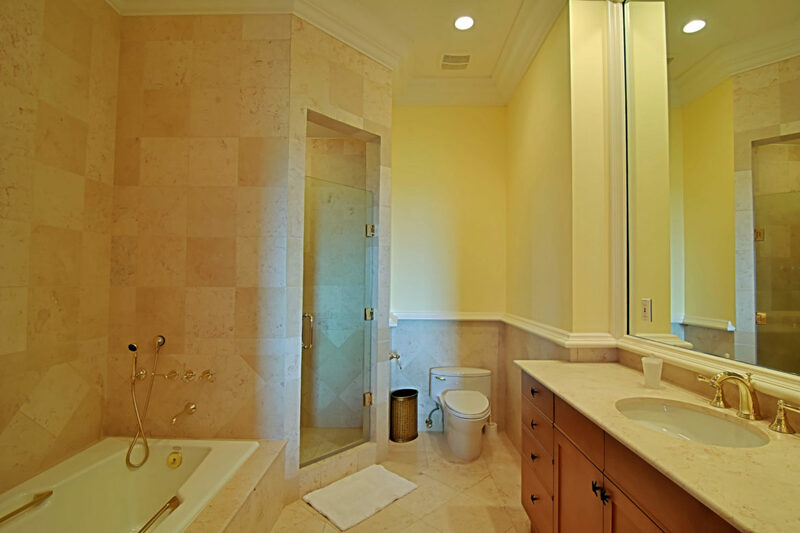 Sunnyside Condominiums is a secure gated community and is extremely serene and private. 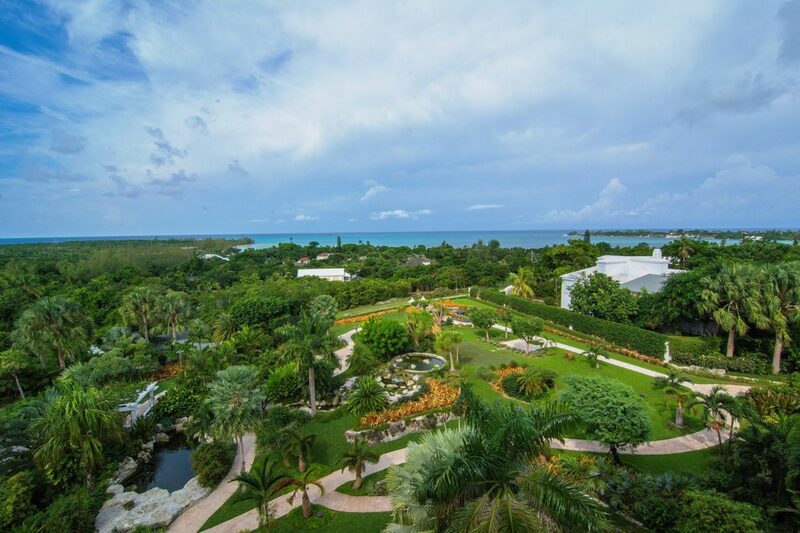 This exceptional penthouse apartment is 9,393 square feet, plus expansive terraces that arc around the apartment affording stunning ocean and island views. 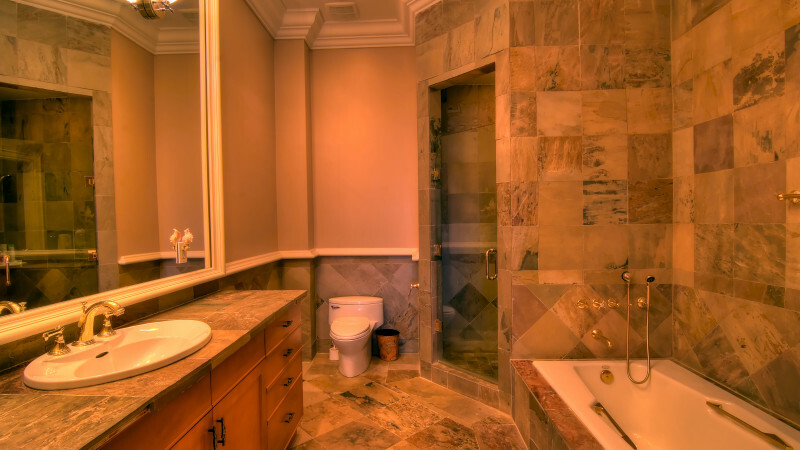 There are 5 bedrooms and 6 and a half baths. 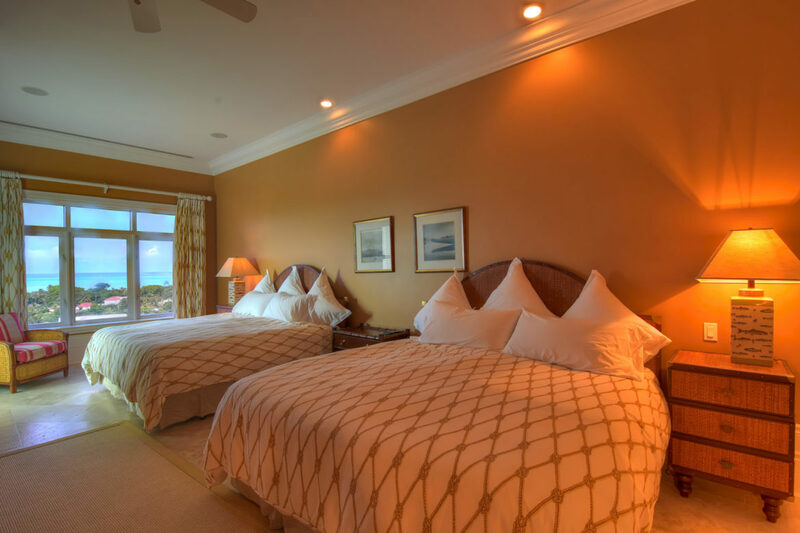 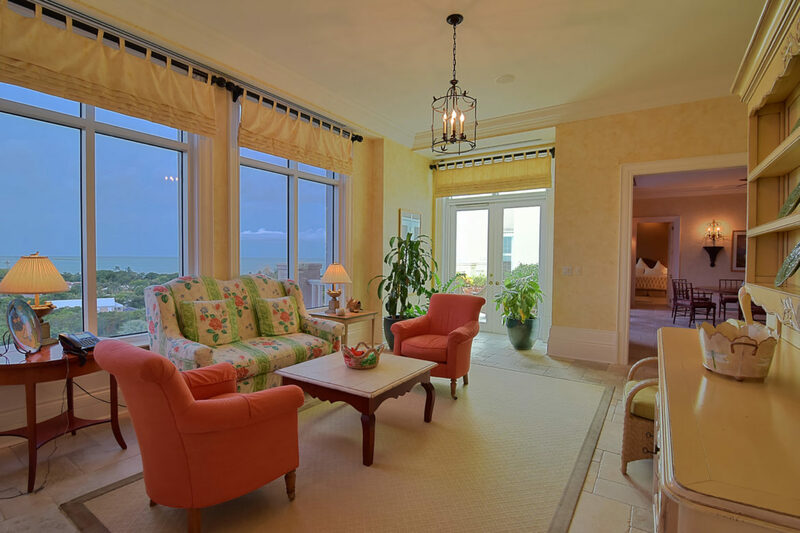 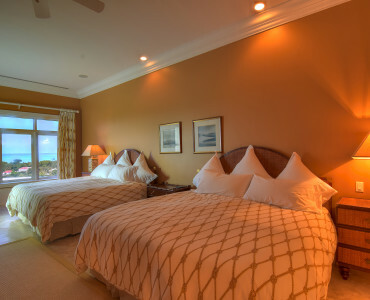 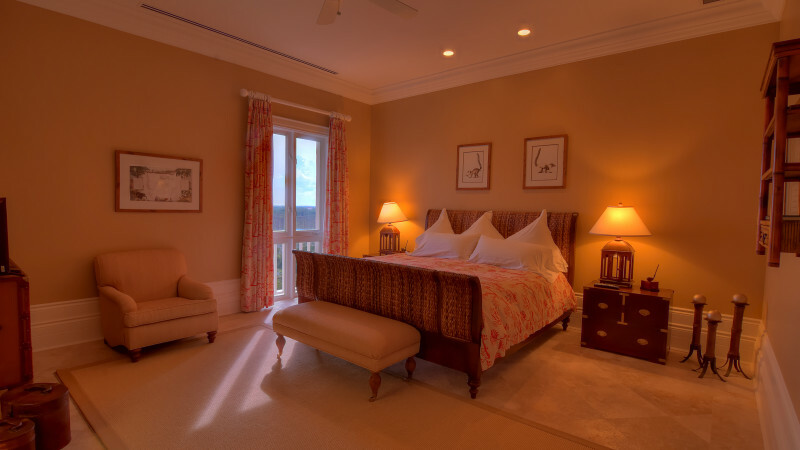 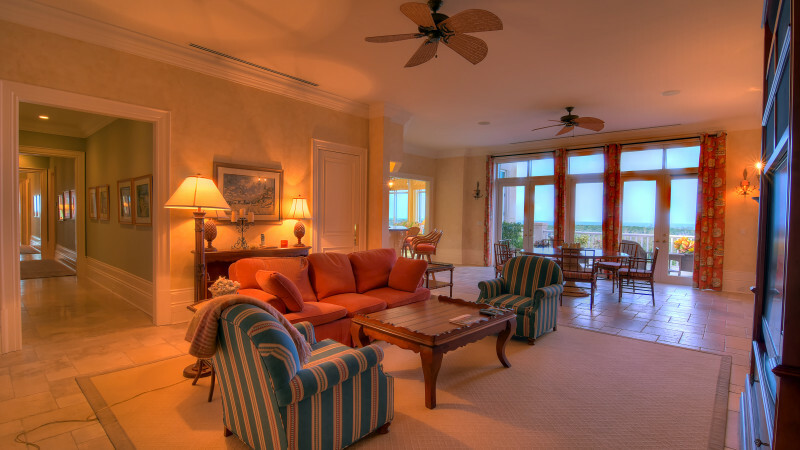 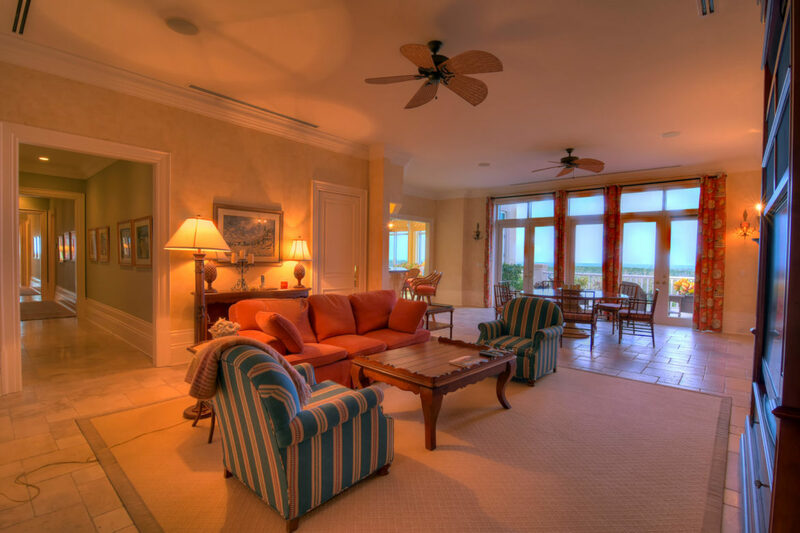 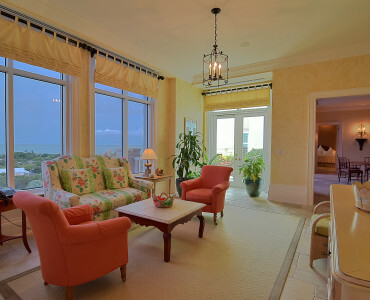 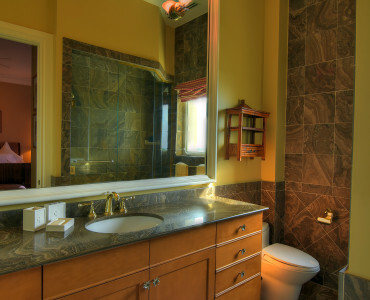 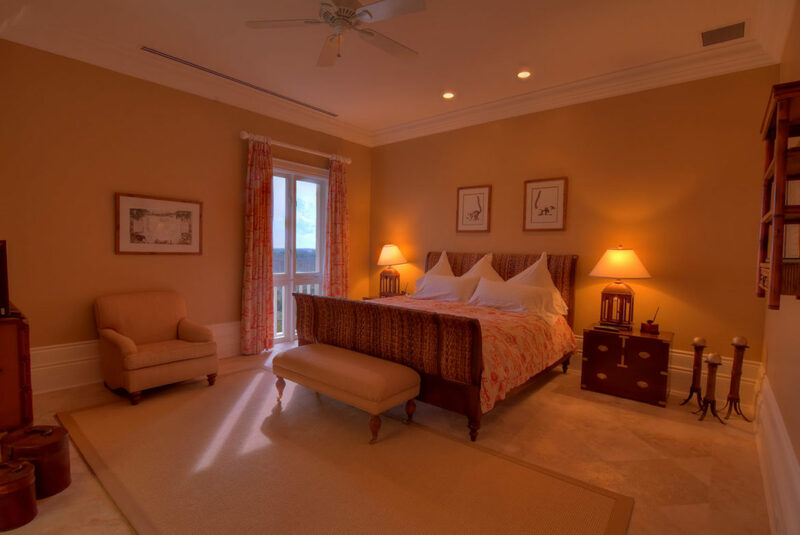 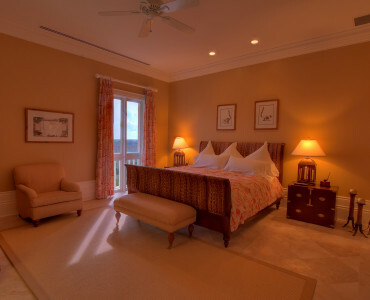 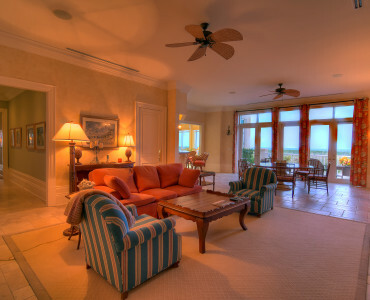 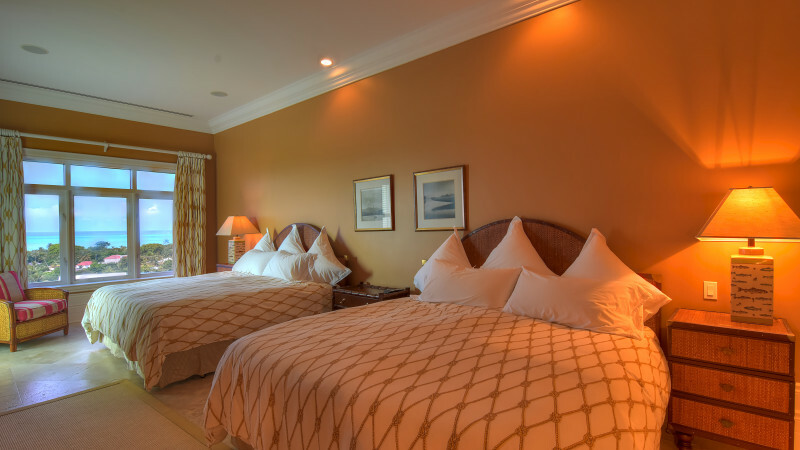 The spacious master suite has his and her walk in closets and access to a generous terrace overlooking the ocean. 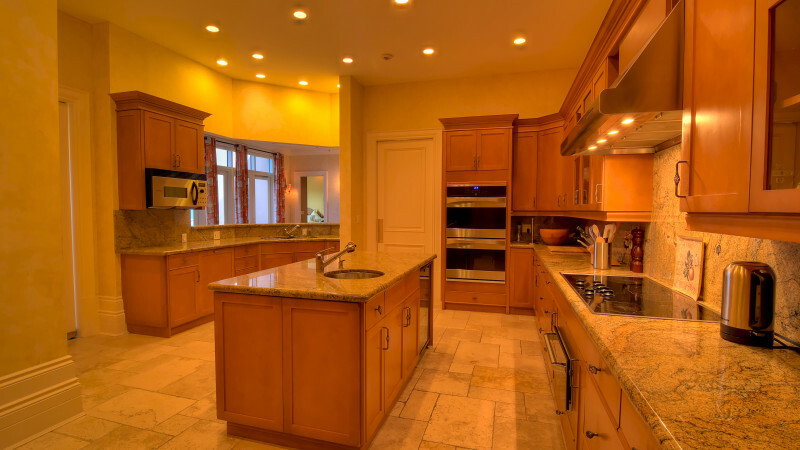 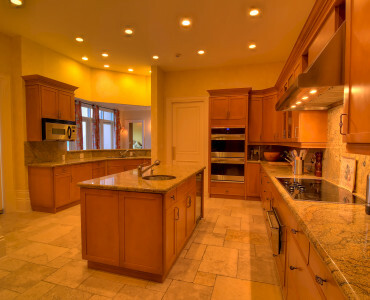 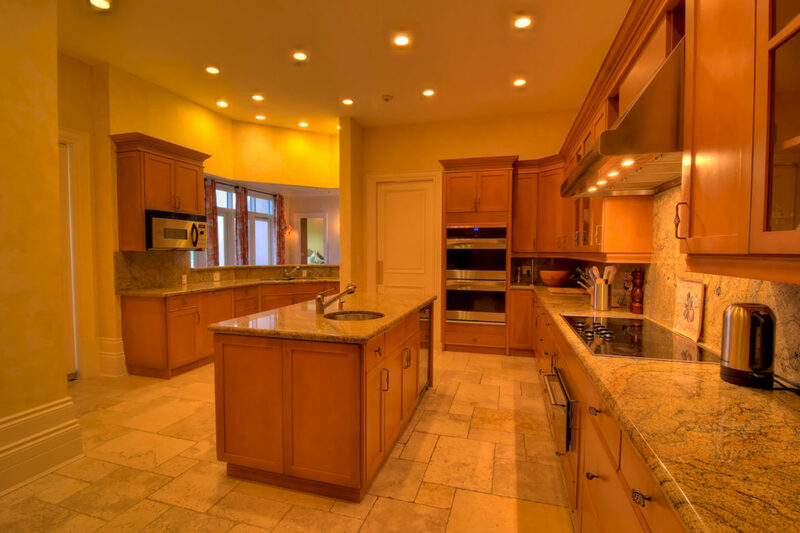 Designed for spacious luxury living, there is a formal living room, formal dining room, family room, sun room and at the heart of the apartment is the kitchen. 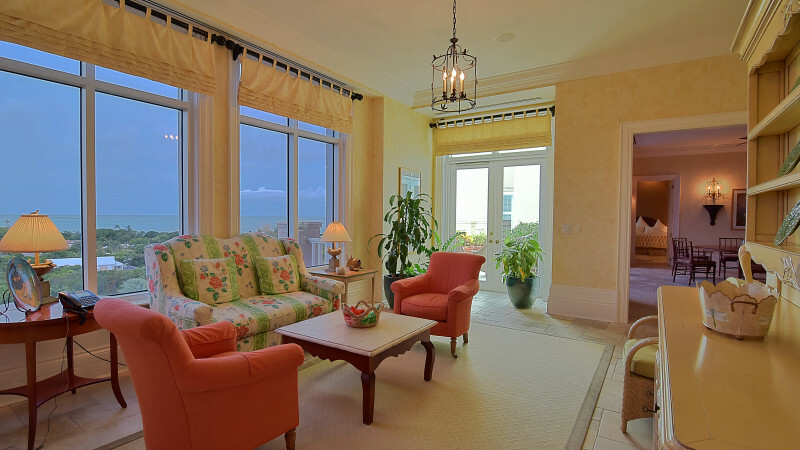 The home features high ceilings and large windows. 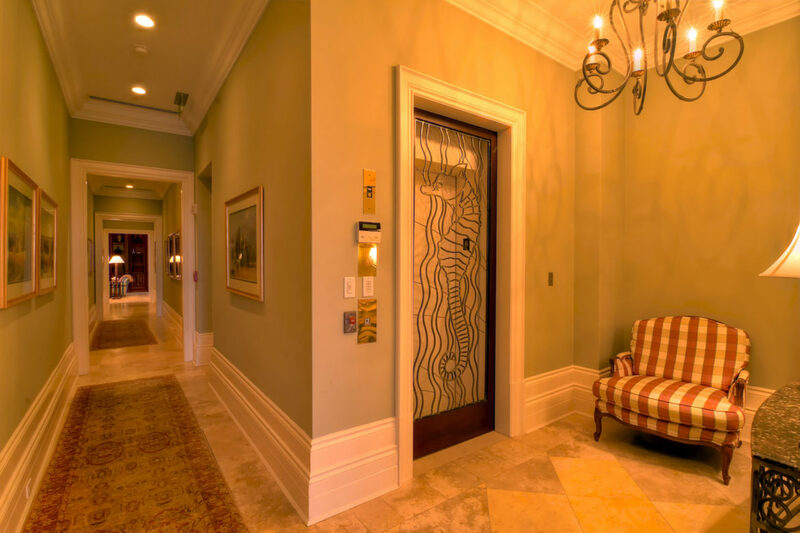 Additionally there are 2 private elevators, alarm, storm proof windows and doors, laundry room, staff bathroom and service entrance. 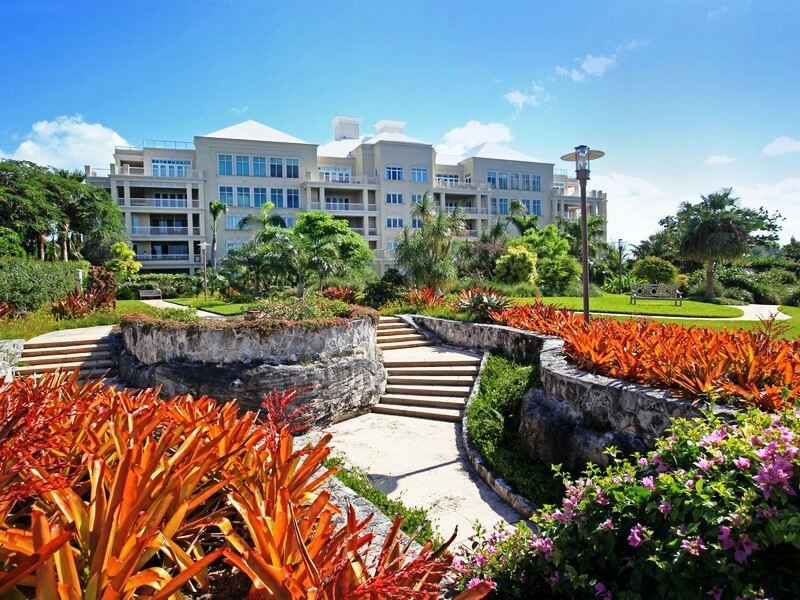 Facilities at Sunnyside include 5 acres of manicured gardens and waterfalls, fitness centre, pool and Jacuzzi, putting green, underground parking, underground storage and 24 hour concierge service.